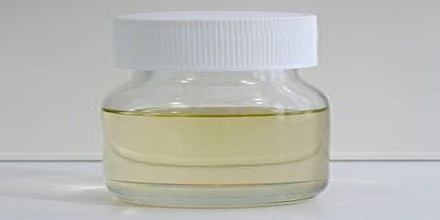 Thionyl chloride is a moderately volatile colourless liquid with an unpleasant acrid odour. Boiling point 79°C. A lachrymator, highly corrosive and toxic. Long-term inhalation of low concentrations or short-term inhalation of high concentrations has adverse health effects. It is an inorganic compound with the chemical formula SOCl2. Thionyl chloride is sometimes confused with sulfuryl chloride, SO2Cl2, but the properties of these compounds differ significantly. 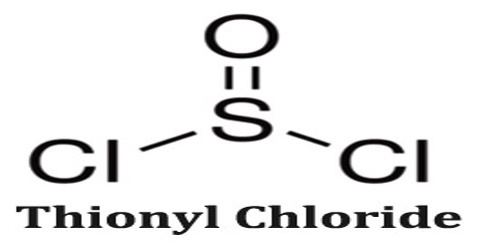 Sulfuryl chloride is a source of chlorine whereas thionyl chloride is a source of chloride ions. SOCl2 is a reactive compound that can violently and/or explosively release dangerous gases upon contact with water and other reagents. Thionyl chloride is controlled under the Chemical Weapons Convention, where it is listed in Schedule 3. Thionyl chloride is used in the “di-di” method of producing G-series nerve agents. Thionyl chloride has been produced by reaction of sulphuric acid or sulphur trioxide with sulphur monochloride and chlorine or with sulphur dichloride. The process for production of thionyl chloride, hydrogen chloride and sulphur dioxide which comprises gradually adding free chlorine and oleum, consisting of anhydrous sulphuric acid having dissolved therein substantially 2.8 mols of sulphur trioxide per mol of sulphuric acid, to a body of reagent of the group consisting of sulphur monochloride, sulphur dichloride and mixtures of the two, with agitation and cooling to maintain the temperature of the reaction mixture at not over 45 C., while venting off the gaseous products, and recovering the thionyl chloride from the resulting liquid reaction mixture. Thionyl chloride has a long shelf life; however “aged” samples develop a yellow hue, possibly due to the formation of disulfur dichloride. It slowly decomposes to S2Cl2, SO2 and Cl2 at just above the boiling point. Thionyl chloride is susceptible to photolysis, which primarily proceeds via a radical mechanism. 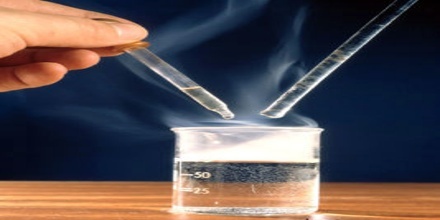 Samples showing signs of ageing can be purified by distillation under reduced pressure, to give a clear colourless liquid. Thionyl chloride is an anhydrous chlorinating reagent and is primarily used in mainly used in chlorinating primary alcohols and carboxylic acids to acyl chlorides, but also can be used to produce: sulfite esters, methyl esters, Illegal phosphorus-based nerve agents, e.g. 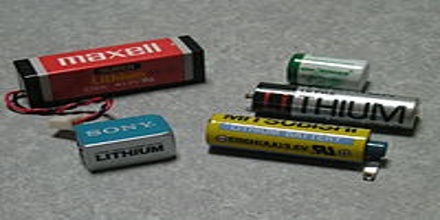 Sarin and lithium-thionyl chloride batteries.